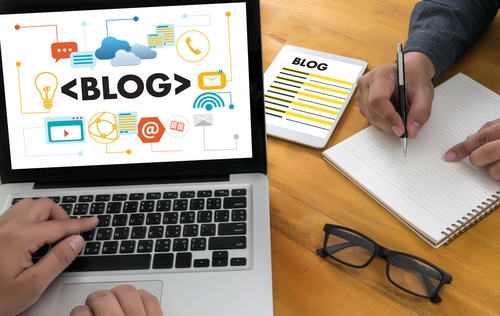 Incorporating a blog into your marketing mix is critical to get your voice heard amongst the noise, communicate the value of your organization, and showcase your expertise to your target audience. If you’ve done any research into blog building sites, you’ve probably noticed an overwhelming number of options available, with required skill sets ranging from 100% DIY to all-inclusive. Before you make any decisions, there are a few factors to consider when choosing a blog builder. If you are a blogger without much technical knowledge, you want a platform that is easy to set up, has drag-and-drop functionality, and requires no coding skills. More importantly, whether you are building a personal blog or a blog for your small business, you need to think about the blog you want now, as well as for the future. It’s important to choose a platform in the beginning that is flexible enough to grow with you and your audience. Wix offers small businesses a flexible drag-and-drop functionality that requires no coding skills, making the blog-building experience as easy as it gets. Wix’s templates are by far the best feature. Wix offers hundreds of professional, modern designs for almost any industry, and is one of the few site builders that allows you to animate text and other elements. Wix has a simple interface from which you can add and edit photos, video, and text that reflect your brand’s identity. There is a posting schedule, Facebook comments section and just about anything else you need in a blogging tool. A notable fault in Wix is that it doesn't offer data exporting. So, if you choose to leave for another platform, you’ll have to manually copy and paste your old data to your new site. While Wix is not the cheapest option out there, it is definitely among the best-looking. If you’re running an Ecommerce business and want to incorporate a blog onto your website, Wix is a beautiful option to consider. If your main goal is to blog, Wix might be a bit too robust for your needs. Offering 300+ templates that are designed specifically for dozens of industries, this beginner-friendly builder makes it possible to get up and running in under an hour. GoDaddy does not have the drag-and-drop functionality that Wix boasts, but its templates are clean, modern, and pre-populated with content that you can quickly replace with your own. Adding a blog to your site is ridiculously easy with WordPress as an inbuilt application. To get started you just purchase hosting for WordPress and it will auto install in the GoDaddy site builder. The added bonus is that you have just one company (GoDaddy) managing your domain name, email, and hosting. GoDaddy does an excellent job providing a full range of services and tying them together. What GoDaddy really has going for it is its amazing customer support and low prices - often the cheapest in the industry. When it runs promotions, GoDaddy’s rates for a basic package can drop to as low as $1.99/month. GoDaddy is a solid blog builder for those who don’t want to pay too ​much, but need extra support when building. With easy-to-use, drag-and-drop features, Weebly is one of the best blogging platforms for beginners. Giving you the tools you need to run a successful blog, the modern templates allow you to present your content in the most attractive way possible – all without any coding knowledge. Weebly’s app center has a range of media options and integrations available, making it a breeze to incorporate photos and videos into your blog. Its library of widgets and add-ons puts your creativity in the driver’s seat, making your blog as unique as your content. Weebly is an excellent platform for not only blogging, but selling as well. The premium package offers an Ecommerce app that transforms your blog into a store, allowing you to build a successful business while getting your voice heard. However, Weebly makes it extremely hard to transfer your blog to another platform. You would have to export and transfer the old data over manually. Weebly’s intuitive, user-friendly design gives users a variety of ways to create their online space. More advanced users might be annoyed at the lack of control they have with the code, but the versatility of this tool makes it a smart choice for the novice as well as seasoned bloggers. SiteBuilder provides bloggers with only the basic features needed to build a modern site. That said, it’s an extremely user-friendly site builder that is designed to get your site up and running in just a few minutes. To help users get started, SiteBuilder offers 10,000 template options. If the drag-and-drop functionality doesn’t give you exactly what you’re looking for, there is added coding flexibility for advanced users – an option that’s rarely seen available in other website builders. SiteBuilder’s blogging tool makes posting a straightforward process with no room for user error. The blog features include everything you would expect, including tagging, pinning, and commenting. It appears to be a solid blogging platform with digital marketing support such as SEO to increase your blog’s traffic. SiteBuilder doesn’t offer much room for growth, and it doesn’t have libraries of add-ons, apps, and extensions to add to your site as you grow, like its competition does. The real concern with SiteBuilder is the lack of transparency in terms of pricing and what services you get in a package. Who would want to pay for a subscription without being certain of what you’re getting, or not getting. Note that unless you are paying for a premium package, the customer support services at SiteBuilder lean toward the do-it-yourself model. Web.com has a long history in the web building arena, but has taken a backseat to many of the new drag-and-drop, do-it-yourself web building competitors. It offers over 2,000 templates, but they’re not the most modern or exciting out there. Where Web.com really shines is not in its hosting services, but rather in digital marketing services. This company excels in PPC, Facebook, and SEO services that increase its ​customers online visibility and web traffic. For bloggers, Web.com offers a 1-click WordPress install to get blogs up and running without much effort. Customers get all of the bells and whistles that come with WordPress, but because blogging isn’t Web.com’s main service offering, it has been known to struggle with support and to provide the same level of service that the competitions provides. If you’re a small business who would prefer to have someone build your site and blog for you, Web.com is a solid choice. However, the prices are higher compared to other alternatives. With every add-on feature or service that you want to incorporate in your site comes an additional expense. There are a handful of more cost-effective website builders out there that can do a better job, at a better price.